Nearly 500 registered meth labs can be found throughout Florida. Meth, or methamphetamine, is a powerful type of amphetamine (stimulant) and synthetic drug. Common names are crystal meth, crank, ice, or speed. It can be administered in several ways, including by smoking, snorting, injecting, or taking orally. It is classified as a Schedule II controlled substance under federal and state law. 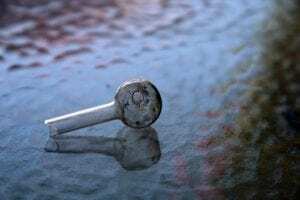 The popularity of meth has skyrocketed throughout the country in recent years, partly due to the fact that it can easily be created from a few simple household items in one’s kitchen or bathroom. Using meth leads to devastating circumstances, but being accused of a crime involving meth adds further damage. In Florida, nearly all crimes affiliated with methamphetamines are felony offenses subject to aggressive prosecution and severe penalties. If you have been charged with a meth crime like possessing, manufacturing or trafficking methamphetamines, it is important that you speak with a knowledgeable and professional attorney. The Law Office of Gabriel & Gabriel has served the Palm Beach community for over 25 years defending misdemeanor and felony offenses. Possessing even a small amount of methamphetamines is a third degree felony in the state of Florida. An alleged offender who is in actual or constructive possession of fewer than 14 grams of methamphetamine can face up to five years in prison, a fine of up to $5000 and a suspended driver’s license. If you face such charges, your licenses could be suspended for up to a full year. One who is charged with the sale, manufacture, or delivery of methamphetamine or one who is charged with possession with intent to sell, manufacture, or deliver fewer than 14 grams of meth faces second degree felony charges. If you are convicted of such a crime, you could face up to 10 years in prison, a fine of up to $10,000, and have your license suspended for one year. In addition, you could face consequences for possessing certain quantities of products that contain the chemicals needed to create meth. Florida Statute 893.149 prohibits people from knowingly possessing any of a list of chemicals with the intent to unlawfully manufacture methamphetamine. The threshold to meet trafficking charges for methamphetamines is 14 grams. Should you allegedly possess 14 or more grams of meth, the crime will be prosecuted as a drug trafficking crime for which you can face mandatory minimum penalties if convicted. Trafficking methamphetamine specifically is a first degree felony. The punishment grows in severity based on the quantity allegedly discovered in your possession. – 14+ grams, but fewer than 28 grams results in 3-30 years in prison and a potential fine of up to $50,000. The minimum penalty is 3 years in prison. – 28+ grams, but fewer than 200 grams results in 7-30 years in prison and a potential fine of up to $100,000. The minimum penalty is 7 years in prison. – 200+ grams of methamphetamines incurs a minimum penalty of 15 years, and a potential fine of up to $250,000. For the best chance at a favorable outcome for your West Palm Beach methamphetamine case, call 561-622-5575 or contact us online to schedule a free consultation with attorney Brian Gabriel. Mr. Gabriel has defended those facing misdemeanor and felony charges throughout South Florida for over 25 years.